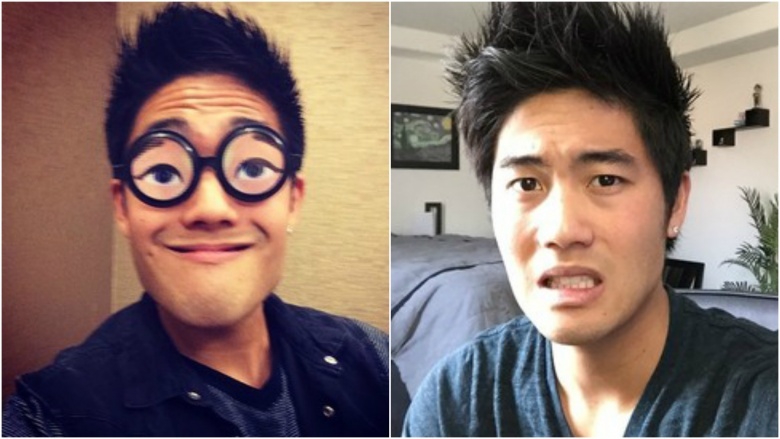 YouTube superstar Ryan Higa hit the scene in 2006 when he began posting lip-syncing videos, but his content and reach have grown exponentially over the years. 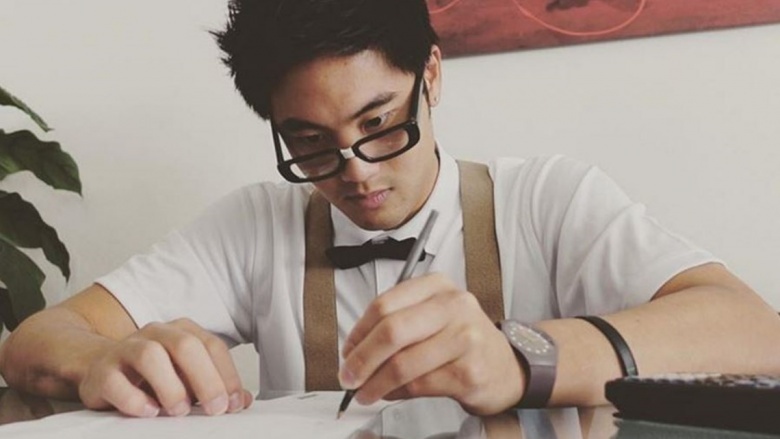 The Hawaiian-born Higa has morphed from a veritable unknown to an internet sensation, attracting millions of views per clip. We dug a little deeper into this famous funny guy's life and dug up some things you may not know. He can't actually sing or dance. Though Higa lip-syncs in many of his videos, he revealed a big secret during an interview with the South China Morning Post: "[I'd] love to [become the Asian Bieber] if I could sing, or had any musical talent. I can't dance, either." Despite his online popularity, Higa seems refreshingly humble. "I do a little bit of acting, but I wouldn't call myself an actor. I have comedic things in my stuff, but I don't consider myself a comedian. I'm just a YouTuber, I guess. Just a personality." Mr. Personality does, however, enjoy dabbling in all things related to video production. "I enjoy doing a little bit of everything," he told the Post. "People ask me all the time whether I'd like to be an actor or director. In making YouTube videos, you can't just be an actor, you have to also know the shots and how to write. I can't say that [I'm] good at everything, but [I] know how to do a little bit of everything." "I do all these things," he said, "but I never went to school for them. It's just something you pick up; it's like its own art, basically." Higa initially planned to become a doctor, but after his first semester at the University of Las Vegas, he reportedly dropped his nuclear medicine pursuits and took up film instead. 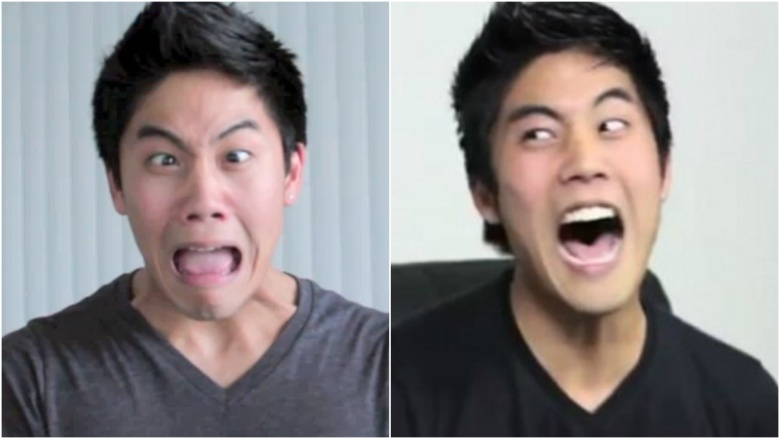 In a video featuring his mother, Higa said his YouTube popularity helped him make the decision to switch majors. "It wasn't an easy choice, though," his mom said, "You just have to do what you want to do." In 2012, Higa "took a break" from college, but didn't return. He's often joked about it on his social media channels. In a 2013 tweet, Higa said, "I love being a youtuber and doing what I'm doing, but sometimes I wonder what it'd be like if I stayed in college, graduated and became a cow." In August 2016, Higa shared a video of his mom unwittingly rapping like Eminem. He shared the footage on YouTube with the caption, "I tricked my mom into rapping 'Lose Yourself' by Eminem while using only puns…watch this while you can, she may make me take this down haha…Sorry Mom!" In 2015, Higa said his beloved and beleaguered mother was the closest thing he had to a manager. In an interview with HK magazine, Higa said he draws comedic inspiration from cartoons. "I do watch a lot of Family Guy in terms of TV, and a lot of comedic shows and movies. But a lot of it is just from everyday life. And definitely, when I'm writing, I try not to watch things so that I don't [bring that material] into my ideas. I literally just sit in a room, sometimes for three days straight, and don't do anything other than eat and write." Higa traces his video roots back to a simple VHS camcorder. "For the very first video I ever made, I was told to film our family reunion, or something like that, and I had so much fun with it that I just kept doing it since then—probably since seventh grade," he told the magazine. "I didn't start putting them on YouTube until '06 or '07, and the reason for that was because I wanted to share them with my family." 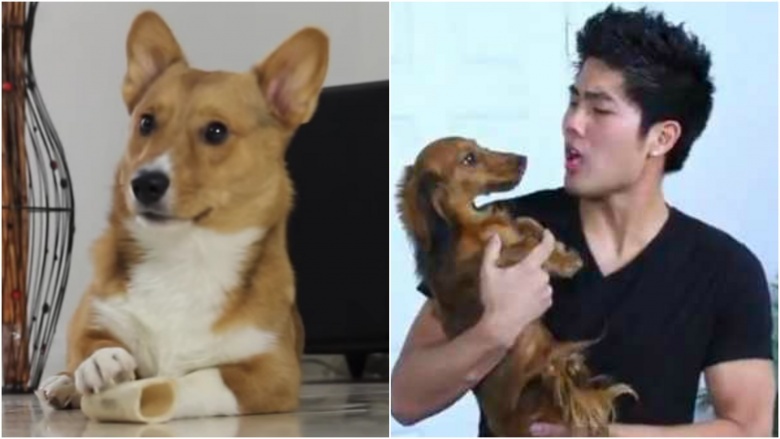 Higa's pets are often featured in video skits or simply running around the house during filming. His most high-profile pet is a Dachshund named Marley, and he also has a Corgi named Teddy. "Sometimes, they can be very hard to work with," Higa said in a YouTube video. "When I'm filming they can be a little noisy. But just having them around when I work, whether I'm filming, or editing, or writing, just keeps the mood light, you know?" He continued, "It's a lot less stressful and a little more…all right, who pooped?" In a YouTube video titled "Roast Yourself Challenge!" Higa talks about diffusing online drama, bullying, and competition among YouTubers—there's a lot of those three things on the internet. The clip was designed to turn the spotlight on yourself, highlighting your own flaws, instead of casting negativity on others. "Once you realize and call yourself out on your flaws, it's a lot harder to make fun of someone else's flaws," he said. "We're always judging other people…Let's stop the drama. Stop making fun of each other…When you roast yourself, no one gets hurt." In 2016, Higa tweeted, "I've always wanted to make a legit horror movie, even more so than comedy…I know a lot of you don't like horror, but would [you] watch it?" Sure enough, the trailer for Tell Me How I Die dropped shortly thereafter, in August 2016. The film documents the end result of a clinical drug trial performed on college students. The co-eds—which include Higa, Nathan Kress, Virginia Gardner, and Kirby Bliss Blanton, among others—experience "side effects" that show them their impending deaths. Spoiler: it's not the medicine that's responsible for the students' demise. Scary stuff, for sure.